Commercial Elevators – Vertical Transport Inc. When selecting Vertical Transport as an accessibility provider, you can be confident that you are choosing a reputable company. We have been in business since 2005. If your building is large or small, Vertical Transport can fulfill your requirements. We only offer non proprietary solutions. 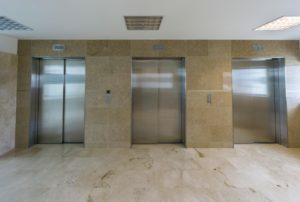 We have a hands on approach and our attention to detail and reliable follow through has earned us a reputation of being one of the most trusted elevator contractors in the region. We only provide safe, durable, and dependable solutions. We work very closely with builders, developers, architects and interior designers, and are one of the very few companies that offer a complete solution to residential and commercial customers. As an authorized CA State certified elevator company, we service a variety of different manufacturers products. Contact us today about servicing your existing elevator or lift, installing a new elevator, wheelchair lift, or dumbwaiter. We pride ourselves on client satisfaction and never feel that any job is too small. We service Orange County and surrounding areas. Mon-Fri: 7:30 a.m.- 5:30 p.m.
© Copyright - Vertical Transport Inc.